On this site you will find proposals for recital programmes and moreover thoughts that accompany and guide me in my artistic work. Maybe you would like to book one of the projects. But of course you can also just read, question, comment, or inspire a new project with your suggestions! The list of repertoire may provide you with a rough idea about the possibilities you have. In any case please write to mail@janfiliptupa.com. A performance as talk-concert, together with the composer Ignacio Fernández Bollo, is also possible. The Solo is probably the most intimate and most sensitive art form that an artist can choose to deal with the cosmos of human whims, dreams and passions. With his commitment for contemporary music, Jan-Filip Ťupa has inspired the birth and shape of new musical works. As he has influenced them, so have they also changed him in the process of dealing with them and their genesis: not only his technique and his musical abilities, but also his aesthetical ideals and even his personality. 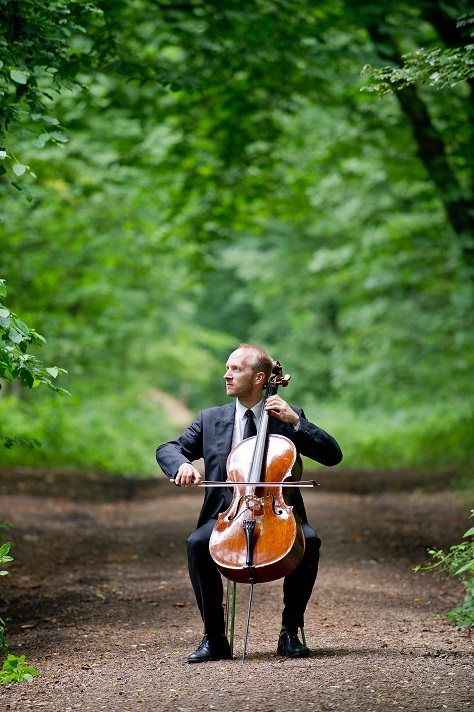 Traces of this development can be found in the programme for cello solo. Two compositions dedicated to him, examples of latest musical invention, stand together with central pieces of the twentieth century, which have opened the way for the following ones and – when compared to them – appear again in a different light. The aesthetical thread that binds them together is the walk on the border between ‘street’ and art, the mingling and the overcoming of the categories ‘popular’ and ‘serious’ and ultimately the crossing of the European musical tradition frontier into a new unheard-of world. Situated between these two poles are the linking parts of their musical bloodline: György Ligeti and Manfred Stahnke, “a romantic against his will who would like to give the western music back a bit of the spontaneity, flexibility and interaction that it has lost in a century-long process of musical division of labour and structural abstraction” as Niklas Wilson calls him. In addition Bernd Alois Zimmermann, the outsider of New Music, highly rational, and yet full of metaphysical yearning. A stranger in this grouping? Maybe, only to the appearance. It is, admittedly, fairly bold to call the music in this programme ‘Rock’. But if you use the term ‘street’ to evoke ‘Pop’ – and is not the street the home of the people? – then the term ‘Rock’ aims to the heart of the matter. With a similar background to the programme for cello solo, but naturally less intimate, in exchange full of vigour and tempo, with breathtaking moments of lightning interaction and petrified tension, Jan-Filip Ťupa and Rebecca Huber play duos for cello and violin by Maurice Ravel, Ignacio Fernández Bollo and Jan Feddersen. The music overflows with beautiful changes: it is at once wild, once tender, but always heartfelt and with a trace of anarchistic humour. The idea of a programme for the two instruments emerged during the planning of a tour of Chile, which Jan-Filip Ťupa and Ignacio Fernández Bollo accomplished together with the composer Jan Feddersen and the violinist Anna Faber in October 2005 with the assistance of the Goethe Institut. Their concerts in Santiago inspired some Chilean composers to write new duos for violin and cello as well. As soon as these works have been realized, the basic idea of the programme (namely the phenomenon of transfer of a language into another cultural environment, its adaptation, modification and transformation) will gain further clarity. Hitherto the programme, which is about 60 – 70 minutes long, may be extended with solo repertoire for both instruments. A joint performance with the composer Ignacio Fernández Bollo in the form of a talk-concert is also possible. In croce, meaning “on the cross”, is the title of Sofia Gubaidulina’s stirringly dramatic composition for cello and organ from the year 1979, a work of highest symbolic potency. Besides the religious meaning, ‘in croce’ also refers to the intersecting of the two instruments’ tunes. Bringing together these two very different voices – different in their character and in their use – is a difficult but an equally attractive undertaking. This can be seen in context with Johann Sebastian Bach’s sonatas for viola da gamba and cembalo, which in the version for cello and organ turn into wonderful trio sonatas with an almost palpable polyphony. Only the smaller part of the works from this programme spanning more than two and a half centuries has been explicitly written for cello and organ, yet their home is the sacred space. Antonio Vivaldi, who has been priest at the Ospedale della Pietà in Venice, has written his sonatas for cello and basso continuo for the use during the holy mass. A sign of a personal spirituality on the other hand is the ‘Prayer’ by Jewish composer Ernst Bloch, an expression of his affectionate, fervent relationship with God. Jan-Filip Ťupa: “The idea of the talk-concert emerged during a joint performance with the composers Ignacio Fernández Bollo and Jan Feddersen and the violinist Anna Faber in October 2005 in Santiago de Chile. Michael Gordon Industry (1993) for cello and "distortion unit"
Alvin Lucier Indian Summer (1993) for cello and "pitch shifter"
Ernstalbrecht Stiebler Klangkontur (1996) for cello and "tape delay"
Luigi Boccherini Sonata “L’Imperatrice” G deest, for cello and b.c. For more chamber music (especially cello and piano, but also violin/clarinet, cello and piano) please visit www.praesenz.org. Repertoire for different groups (e.g. flute, cello and piano) available on request.